A fundraising has valued the Chinese e-commerce group’s financial division at $7 bln. The business dabbles in loans, payments, and crowdfunding. Yet JD.com does not disclose its financials. As with larger rival Alibaba, outside investors can only guess at its true worth. Chen Honglei, a 26-year-old courier of Jingdong, also known as JD.com, prepares his electric tricycle before leaving the company's Haidian district delivery station in Beijing, November 20, 2013. 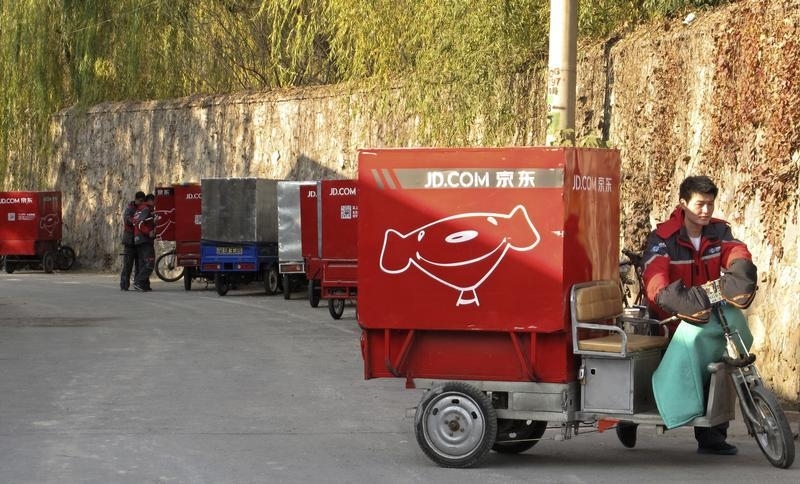 China’s largest online retailer, JD.com, said on Jan. 16 it will raise 6.65 billion yuan ($1 billion) for its JD Finance subsidiary. The financing round values JD Finance at 46.65 billion yuan on a fully-diluted, post-investment basis. Investors include Sequoia Capital China, China Harvest Investments, and China Taiping Insurance. The company also said that it will maintain majority ownership of its subsidiary following the financing.